DAVID LE/Staff Photo. 6/19/15. 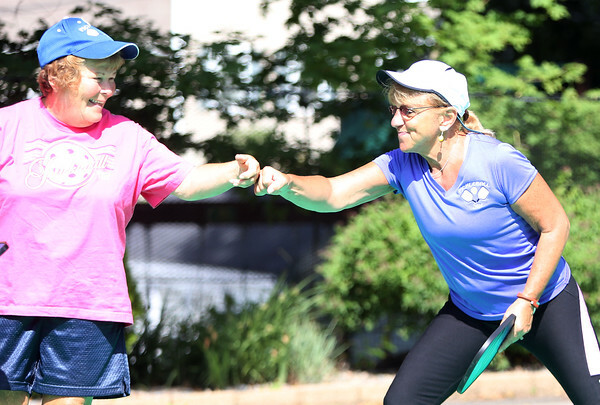 Sue Carnevale fist bumps Mardee Goldberg after the pair scored a point while playing Pickleball on Carnevale's backyard court.